Sip a warm cup, nibble at pastries, and watch the nuptials, a few hours after the wedding itself. Sip a warm cup, nibble at pastries, and watch the nuptials, a few hours after the wedding itself, on Saturday, May 19. 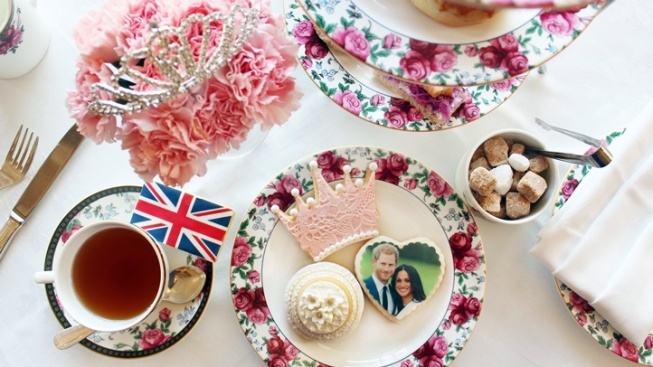 MAKE YOUR RESERVATION... for a place at the Royal Wedding Afternoon Tea. "Afternoon" is a key word here — you won't need to arrive in your pajamas in the very, very early morning, when the wedding'll be happening, local LA time — so don your favorite hat and fancy togs and make for the landmark's timeless Lobby Lounge. The royal wedding will screen, the pastries will be delicious, the sandwiches savory and satisfying, and the dishes? Wedgwood. The price is $62 per person, and the seatings are available from 10 a.m. to 4 in the afternoon. Hoping to do something a bit special for the day, beyond watching from home? This is just the ticket, without reserving a ticket for a hop over the England. Call it an English-style event, with a quintessential California setting, all in honor of the California bride, her soon-to-be husband, and the biggest wedding on the calendar.